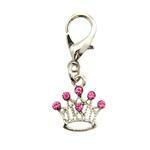 Make your dog's collar pop with the Crown D-Ring Pet Collar Charm by foufou Dog in Pink! Personalize your pooch's collar with a beautiful charm made from Czech crystals. This D-Ring Pet Collar Charm is lead-free and rhodium plated. The lobster clasp fits most collar D-Rings. Great gift for dogs or cats! Charm measures 1-3/4" x 3/4" including clasp. It broke. It’s the second charm that has broke (from the same order). It didn’t just break off the hook the metal broke. 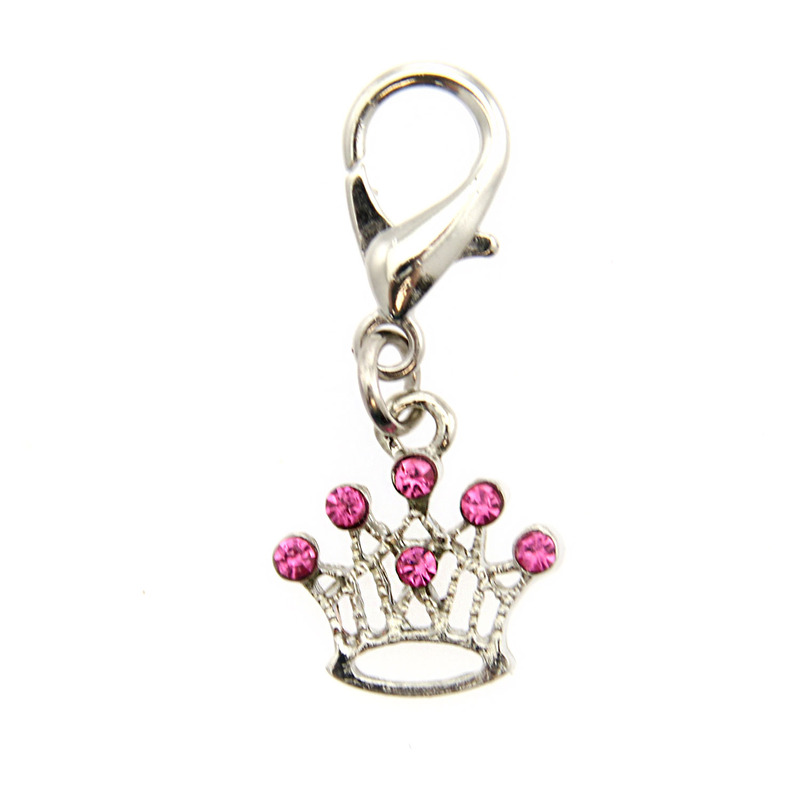 I really liked this charm but the first day I put it on my dogs collar it broke and the crown was lost. Wonderful website! Really enjoyed how many products they offer! Cannot wait for my order for my little pup !